Would the Mini Cooper still be an icon if it were the size of the Rolls Royce Phantom? 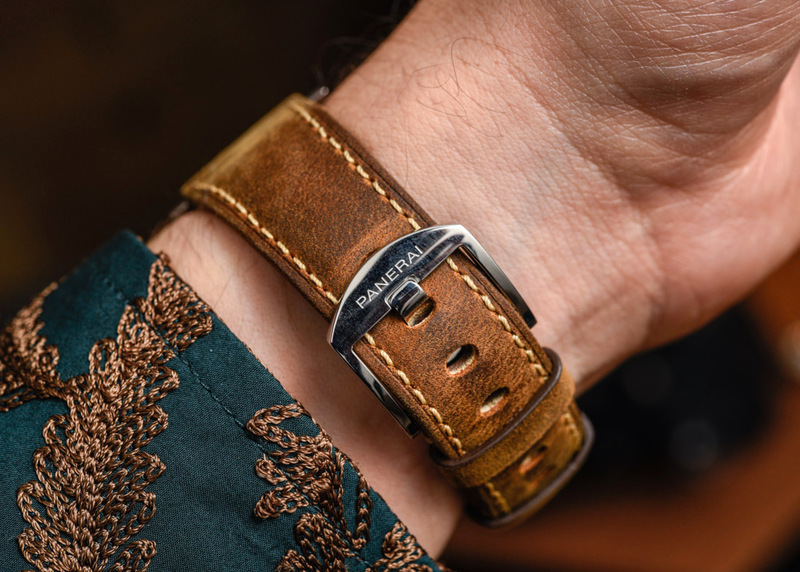 What if the Walkman was never able to fit inside a back pocket? 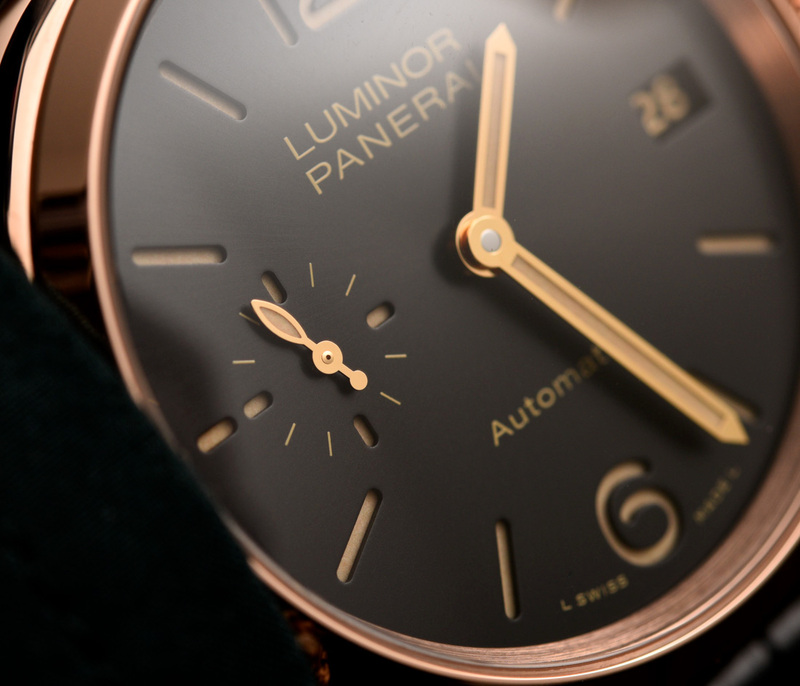 Conversely, would the Luminor – a benchmark for minimalist Italian design and perhaps the foremost instigator of the ‘big watch’ trend of the last decade – maintain similar repute if it were nearly 25% smaller? 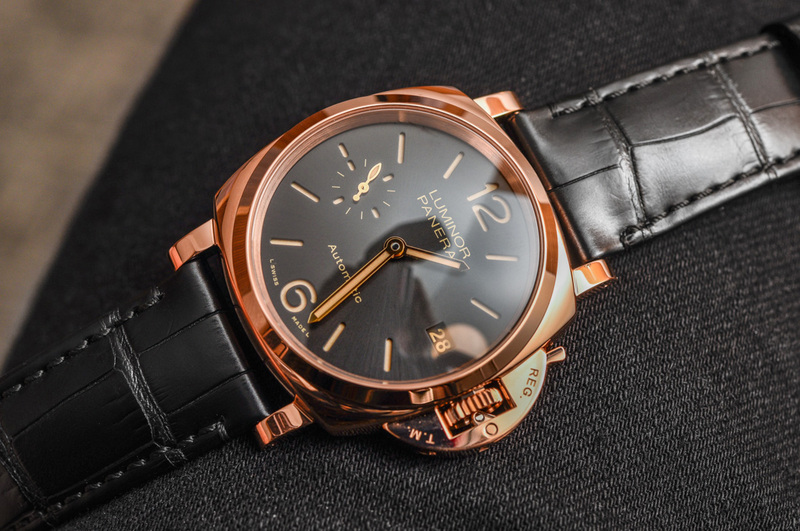 Hard to say, but Panerai is willing to gamble that it will, with the SIHH introduction of the Panerai Luminor Due 3 Days Automatic in a new 38mm case. 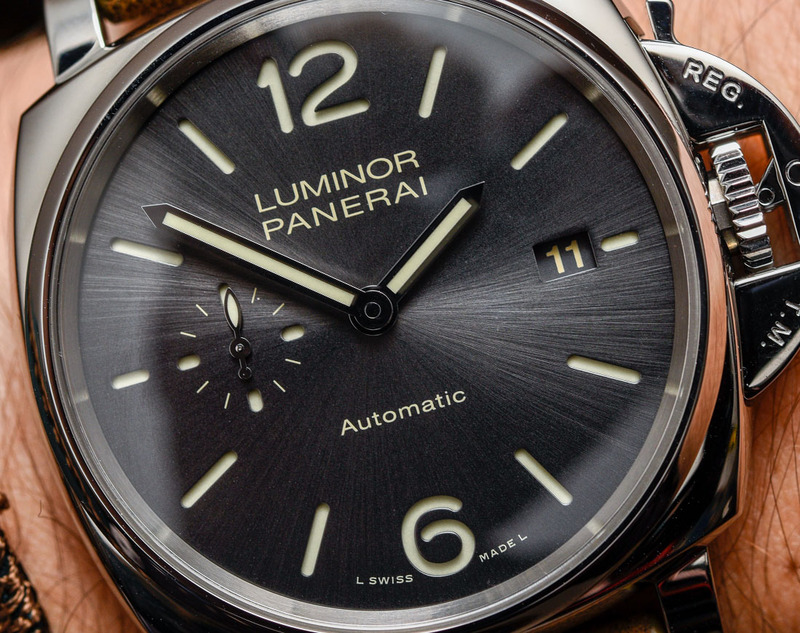 As the story goes, in both utility and style, Panerai watches have always trended large – starting with the first 47mm prototypes used by Italian Royal Navy frogmen in the late 1930s, then later to the 44mm “Pre-Vendome” reference 5218 Luminor worn by Sylvester Stallone in the 1996 film Daylight, a move which pushed Panerai into the international spotlight and ultimately cemented the oversized aesthetic as the emerging trend of the decade. 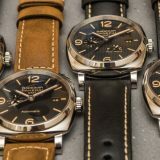 Unsurprisingly, maintaining that legacy of large has also meant that Panerai has been the slowest to reverse its own trend and adapt to market tastes which have been quietly trending back towards the smaller, more traditionally-sized pieces that have punctuated the last several Baselworld & SIHH show cycles. 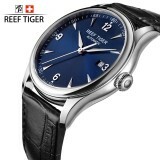 But there are changes afoot in Neuchatel, and the brand appears to be trying to broaden its appeal by introducing smaller 42 or 40mm pieces in nearly every available collection. 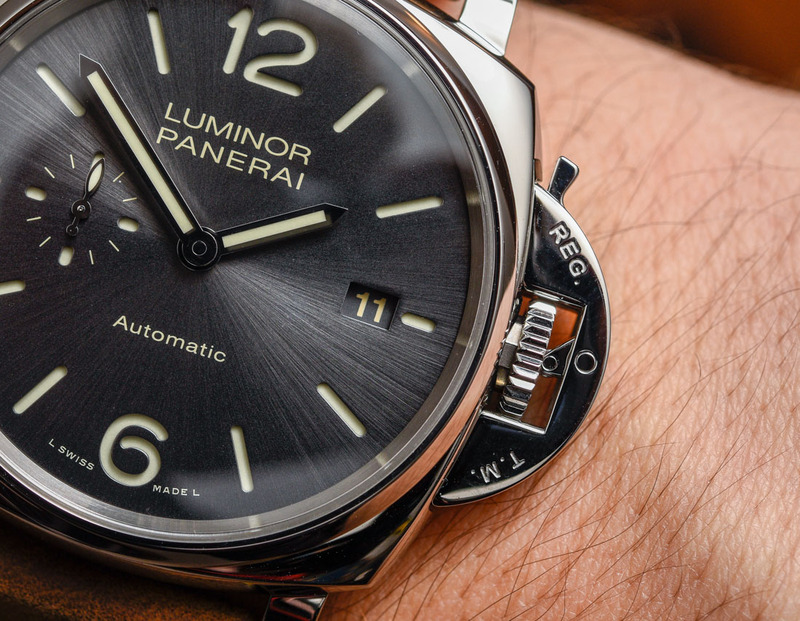 Even the usually massive Submersible now comes in a very welcome 42mm, which is well-worth a second look for anyone who’s ever written Panerai off as a one-wrist wonder. 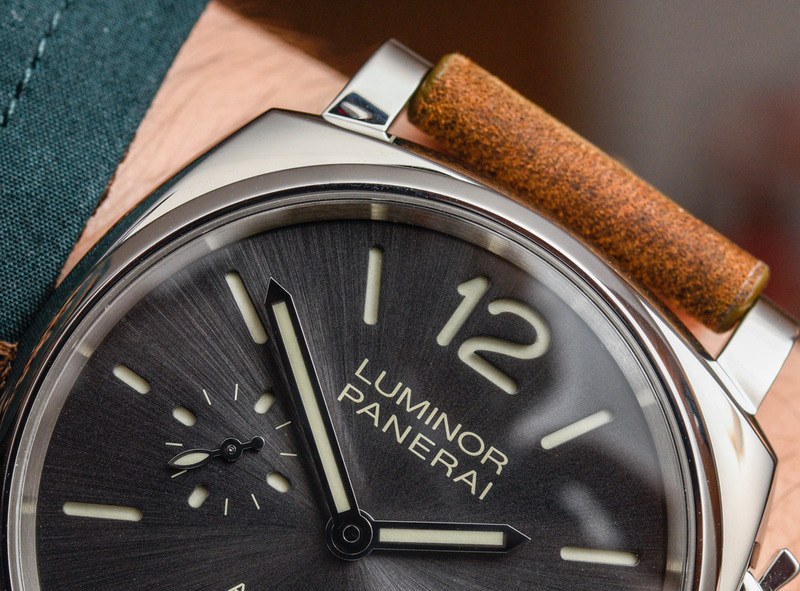 By the same token, the 38mm Due is a welcome, and equally long-overdue addition to the line – particularly because there has always been a large contingent of watch fans who love the Panerai aesthetic, but the broad cases have relegated them to larger wrists only. 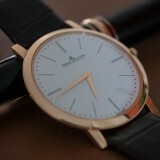 It also hasn’t helped that the thin bezel and broad dial aperture that characterizes the Luminor line yields an even slightly larger wrist presence than the specs suggest. 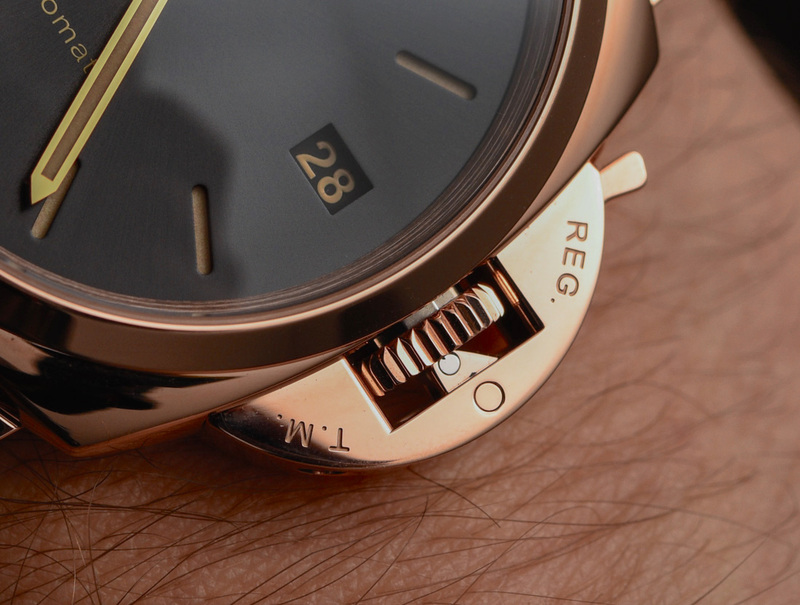 So despite being the smallest Panerai ever made, the 38mm Due wears closer to a traditional 40mm sport watch, ironically making it the nail in the ‘big watch trend’ coffin, now that the brand largely credited with super-sizing the industry is openly embracing the polar opposite end of the spectrum. 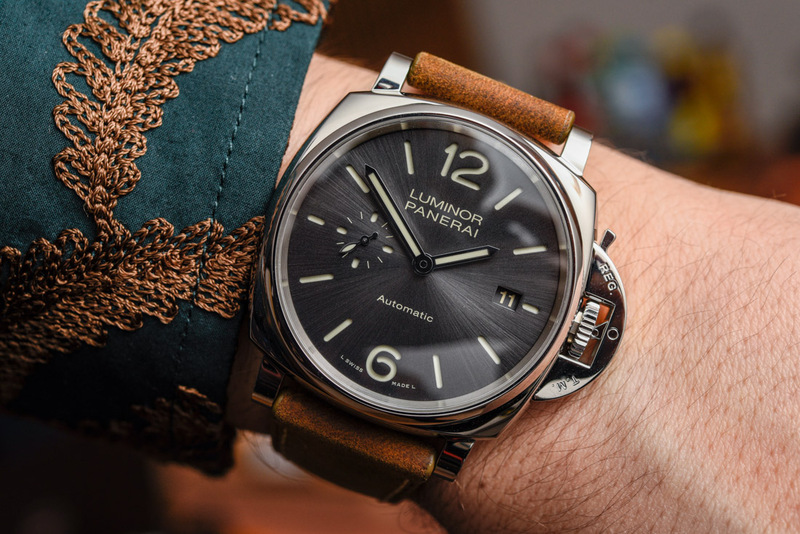 As of 2018, Panerai has ceased its reliance on the ETA-based movements it had historically deployed, and the 38mm Due is no exception, utilizing Panerai’s new in-house manufactured OP XXXIV – a newly developed automatic movement that hums along at 21,600 bph and has a 3-day power reserve. 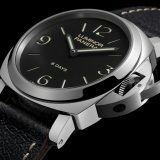 But like all good things, the Luminor Due in 38mm comes with a caveat: it’s only water-resistant to 30m, despite the case’s 11mm thickness. 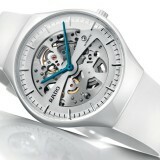 The watches have a closed caseback (sorry we only have caseback images of the red gold model). 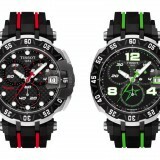 Yes, the rest of the larger Due options are also 30 meter-resistant, and yes, we will all argue that “no one dives that deep,” but it’s not the depth itself, but the intent behind it. 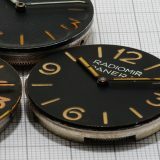 Generally speaking, 100m signals the intent of a proper sport watch and nicely carries the sub-aquatic traditions of the original Radiomir, but 30m comes off as a bit hollow – a Panerai in name and aesthetic only, lacking all the capability of the real thing – sort of like a two-wheel drive Range Rover. 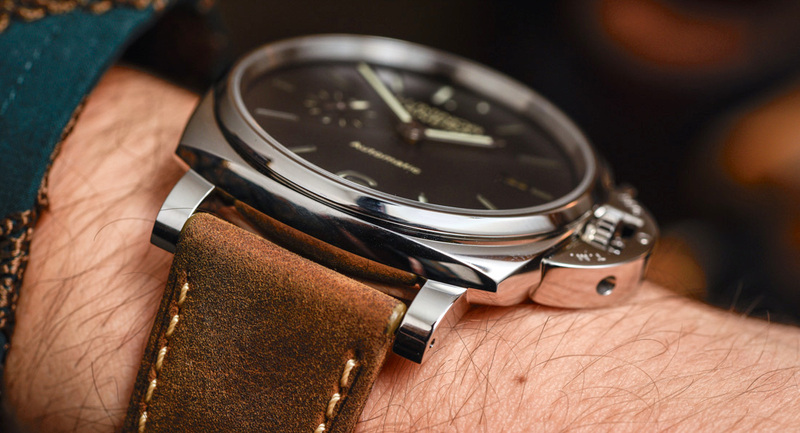 L’Egiziano still makes guest appearances from Panerai’s limited edition collections, like this 2009 whopper in brushed titanium – a definite plus over the initial steel variant thanks to its lightweight properties.By 1972, the previous Panerai descendant, Giuseppe Panerai, died without offspring and the company was run for a brief period by his priest until the manufacturer was given an ultimatum. 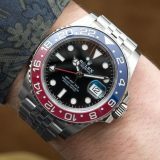 Either Dino Zei, a retired Navy Colonel who was in control of procuring instruments and armament for the Navy’s top-secret surgeries, take over the company, or the brand’s main customer – that the Navy – would close it down. 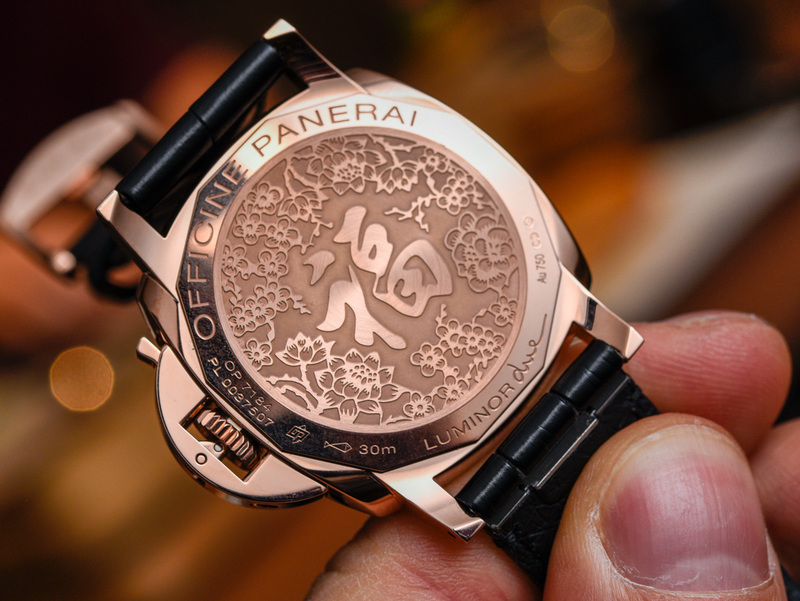 Zei altered the title of their firm to Officine Panerai and proceeded to supply the Navy with wrist thickness gauges, compasses and submerged torches. 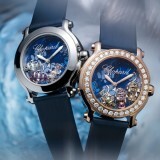 Back in 1993, Zei introduced a selection of limited edition civilian watches motivated by historical models created for its World War II commandos, which were instantly swept up by collectors.In a minute of cinematic serendipity, a Panerai watch unknowingly made a display cameo on the wrist of American actor Sylvester Stallone in the 1996 film Daylight. 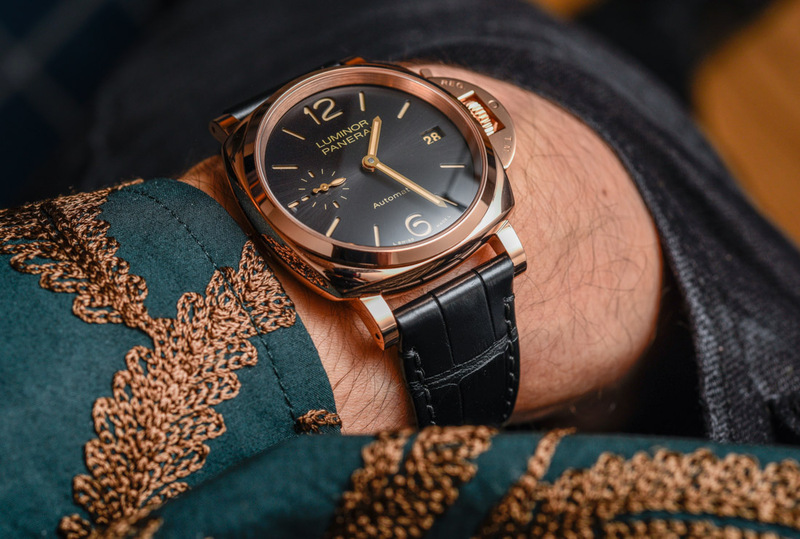 According to legend, the celebrity saw the Panerai Luminor Marina Submersible at a shop window while filming on location in Rome and was drawn to the imposing character of this army watch, which match perfectly with his on-screen persona. 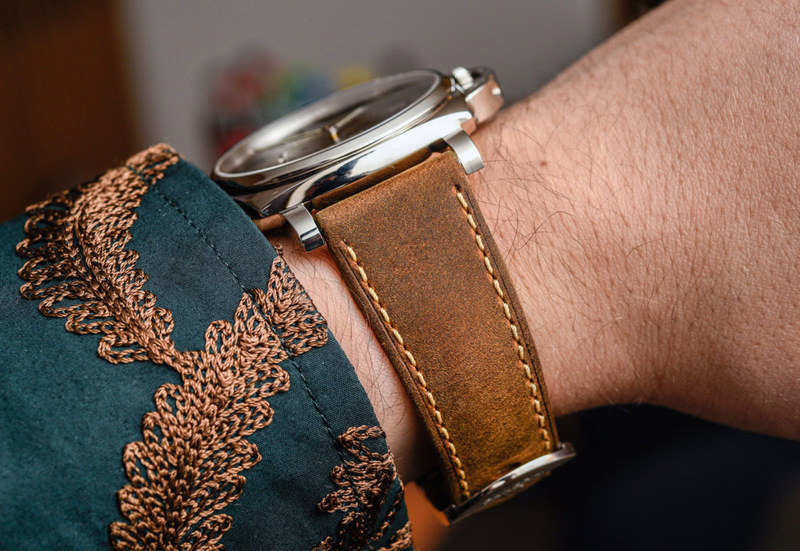 “Once I saw that the watch, I instantly felt it had star power,” commented the Hollywood muscle man that, like most civilians, had never heard of this brand. 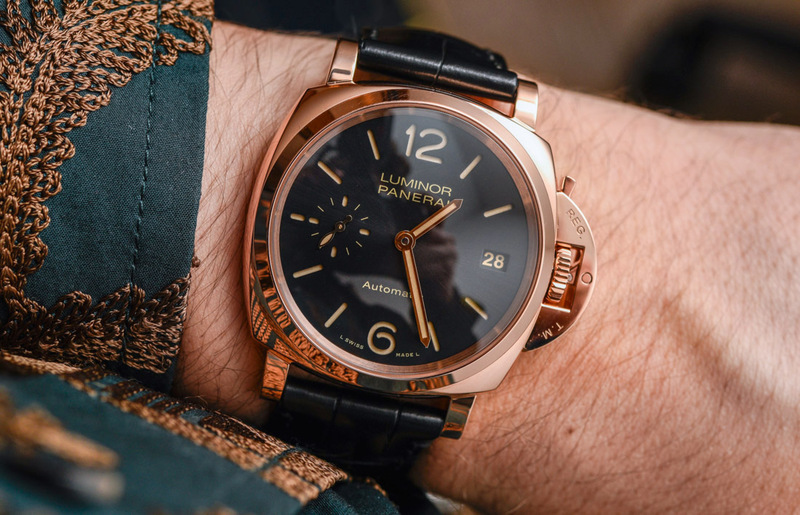 In return for the unsolicited exposure, a solid friendship has developed between Sly and the brand and there’s even a collection of Panerai Luminor Submersible Slytech versions in his honor.